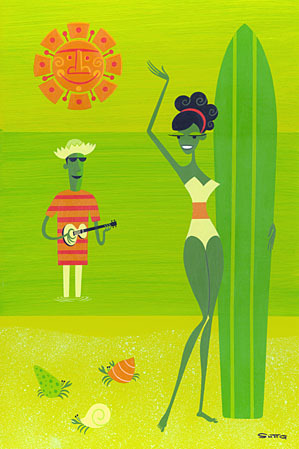 The California Sun exhibition ran at the Space Force Gallery in Tokyo, Japan from November 26th to December 4th 2005. 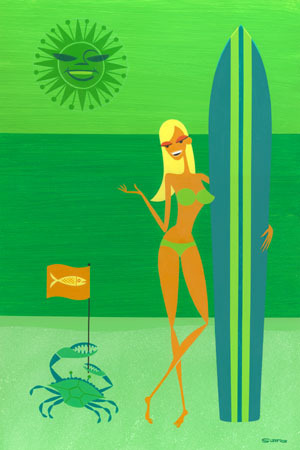 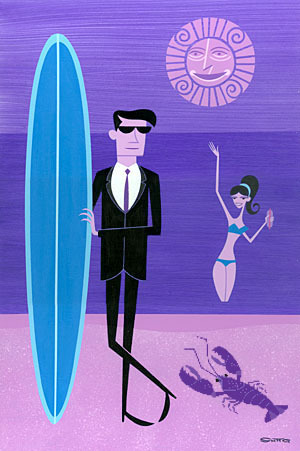 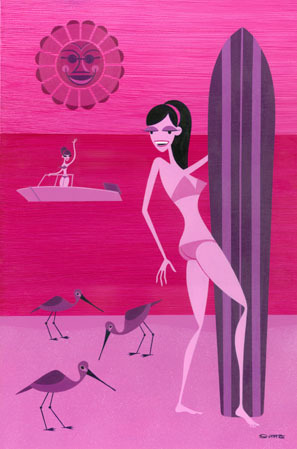 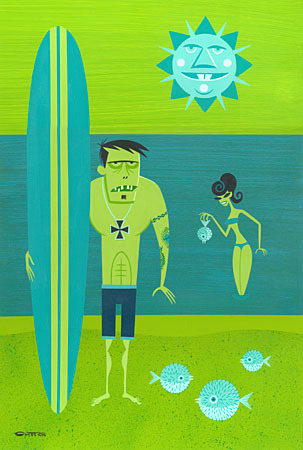 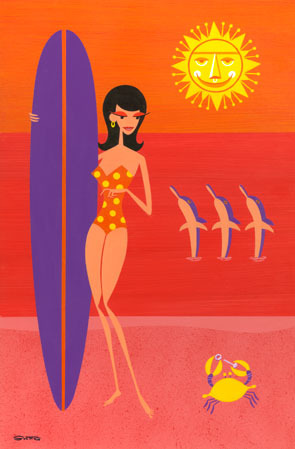 The show included twelve new paintings by Shag plus an exclusive limited-edition three print set. 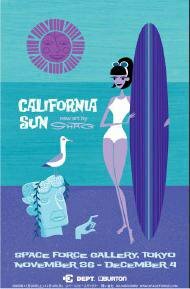 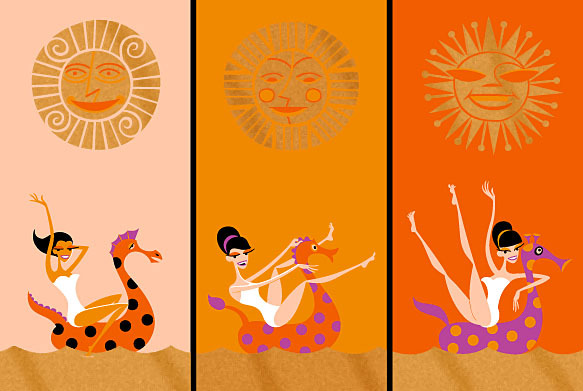 The exclusive show print for the California Sun exhibition was Three Suns, a six-color plus metallic gold ink set of three serigraph prints in a limited-edition of 250. 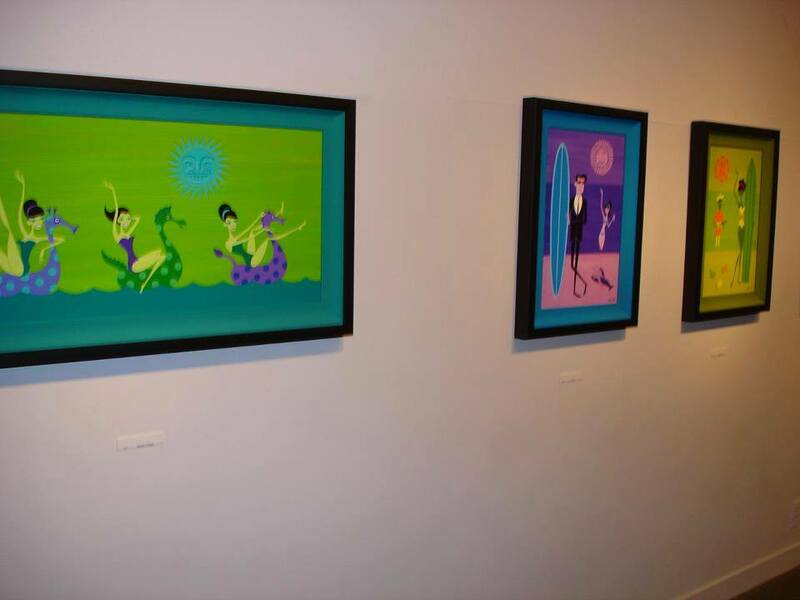 Each print measures 12″ by 22″, and originally cost $210 USD for the set.